A Sheepshead Bay driver who ran a red light, jumped a curb and struck three people, killing one, has not been charged criminally by NYPD or Brooklyn District Attorney Charles Hynes. Yuliya Hermanska, 27, died from her injuries a week after the March 23 crash, according to the Daily News. Police say the driver, Mikhail Nulman, was issued a summons for blowing through the red light at Ocean and Voorhies Aves. He swerved to avoid a collision with a turning car but lost control and mounted the curb, driving nearly 70 feet on the sidewalk and striking Hermanska and two teenage girls, both of whom survived, according to police accounts. NYPD and a Hynes spokesperson told the Daily News that the case remains open. But despite the allegation that Nulman ran a red, and evidence that speed was a factor in the crash, Hermanska’s family and their attorney believe Nulman will not be charged for her death. Edward Steinberg, a lawyer representing the victim’s family, said the case is a too-common example of a vehicular fatality involving an out-of-control driver that prosecutors fail to act on because neither alcohol nor drugs was involved. To Steinberg’s point, this crash occurred a month after Martha Atwater was killed by a curb-jumping motorist in Cobble Hill, and a week before toddler Denim McLean and nine others were hit by a driver at a bus stop in East Flatbush. At least six people in NYC have been fatally struck on sidewalks, in green spaces, and inside places of business in 2013, according to crash data compiled by Streetsblog. In addition to the three victims in Brooklyn, one person was killed in the Bronx, one in Queens, and one in Manhattan. No charges are known to have been filed against any of the drivers in these crashes. This fatal crash occurred in the 61st Precinct. To voice your concerns about neighborhood traffic safety directly to Captain John M. Chell, the commanding officer, go to the next precinct community council meeting. The 61st Precinct council meetings happen at 7:30 p.m. on the second Wednesday of the month at 3093 Ocean Avenue. Call 718-627-6847 for information. The City Council district where Yuliya Hermanska was killed is represented by Michael Nelson. To encourage Nelson to take action to improve street safety in his district and citywide, contact him at 718-368-9176 or MNelson1@council.nyc.gov. If there was a street light camera, there would be evidence of wrongdoing. I think the family of the deceased have grounds to sue the state. If the Crash Investigation Squad downloaded data from the vehicle event recorder (black box), but the DA is not using it, there is grounds to sue the city. If the CIS did NOT download black box data, there’s definitley cause to sue the city. But the state refused to fund even the smallest pilot program to test the efficacy of speed cameras – in essence, saying they’d rather people be killed by speeders and that the state is OK with being liable. @c44dc01f8107c1b33104b538f33b734d:disqus, speed cameras pay for themselves. The state wouldn’t even assent to their operation. What is with DA Hynes? This is about the umpteenth time DA Hynes has refused to charge drivers for causing deaths when they were clearly violating simple traffic laws. 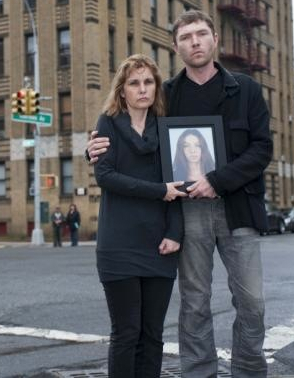 Some 20+ years ago, an unlicensed kid stole a car, jumped the sidewalk and killed a girl. The neighborhood had to threaten to all but hang Hynes by his heels from a lamppost before he would bring charges. If we can’t impeach Hynes for malfeasance now, be sure to vote him out of office this fall. Anyone but Hynes! NYC can add all the protected bike lanes it wants, but until it starts holding reckess, irresponsible drivers criminally accountable, it ain’t bike or ped friendly in my book. One should not have to hide behind jersey barriers to be safe in one’s city. This article lucidly illustrates why I think adding protected facilities is the wrong approach, when the root cause of the high death rates by traffic in this country is that a motorist can mow people down and simply walk away.